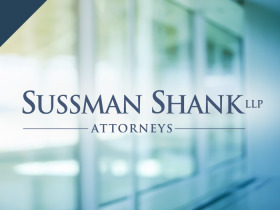 Sussman Shank's Non-profit Religious Organizations Practice Group has represented various religious organizations including a Catholic religious order and an Archdiocese. We have advised religious organizations on insolvency-related issues that arise before, during, and after a chapter 11 filing, and have advised other clients that have not filed chapter 11. We have significant experience in understanding religious organizations' special needs and requirements when we address the variety of legal issues they face. The firm's practice group, headed by partners Tom Stilley and Howard Levine, represented the Archdiocese of Portland in Oregon and the Society of Jesus, Oregon Province, the first Archdiocese and the first Catholic religious order to file chapter 11 in the United States. In both of these cases, the firm helped successfully resolve hundreds of tort claims, assisted in recovering funds from insurance carriers that were used to pay claims, confirmed their respective chapter 11 reorganization plans, and restructured their operations consistent with their reorganization plans and governing religious law. In the Archdiocese of Portland case, the firm successfully litigated restrictions on charitable trust assets and the ability of bankruptcy courts to estimate personal injury tort claims, as part of a reorganization strategy that ultimately resulted in settlements with known tort claimants and the funding of a future claims trust. That same model has been followed in subsequent chapter 11 cases filed by religious organizations in other states.